This morning Arjan Beijer sent me an interesting link to a youtube video about obtaining the Citrix IMA Datastore password using Windbg. The video shows a method, discovered by Denis Gundarev to obtain the IMA Datastore password. Basically he uses DSMaint.exe and set’s a breakpoint on the call to CryptUnprotectData and then reads the password from memory. I tried to call the CryptUnprotectData API with the data read from the registry directly but this failed with error NTE_BAD_KEY_STATE, this is defined in winerror.h and it means “Key not valid for use in specified state”. I don’t think it’s difficult to spot the Entropy here? But where does this leave us? Is it a security breach? I don’t think so, since the call to CryptUnprotectData fails if we do not have Admin privileges. 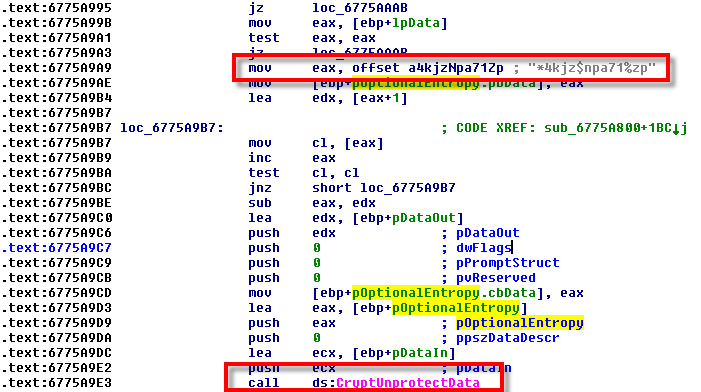 Further more we can read the values remotely (if we have admin privileges) but we can only decrypt it locally. 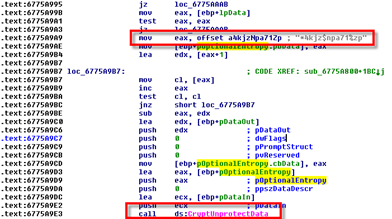 4 Responses for "Decoding Citrix IMA Datastore Password"
great article remko! i tried the tool but just getting: seems that L$ImaDBUsername could not converted correctly?! EOSError: System Error. Code: 13. Thanks Andreas, it was a little bug in my tool. I fixed it and uploaded a new version. Great! i’m lost the sa password of a sql 2008 r2 express datastore…. thank’s!! EOSError: System Error. Code: -2146893813.